On December 21, WrestleCrap Presents.....Saturday Night's Meme Event! - WrestleCrap - The Very Worst of Pro Wrestling! In just three short weeks, on December 21, 2013, join all the superstars of WrestleCrap in wintry Hartford, CT at the XL Center, for a Christmas gift the whole family can appreciate! 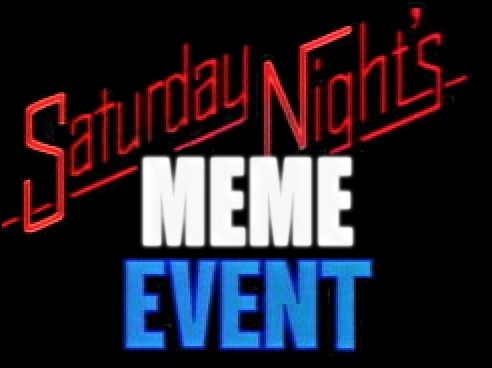 It’s the debut of Saturday Night’s Meme Event! After the controversial switcharoo between Midnight Rose and Blade Braxton at Survivor Series, a couple of their opponents are griping about the exchange. The Shockmaster and The Black Scorpion have vowed revenge against Braxton, who will team with his closest friend, “The Real Deal” RD Reynolds! Braxton has already warned the Atlanta-born atrocities across the ring: beware, for the Midnight Rose may be near! Vince Russo refuses to suffer his indignation at the Survivor Series lightly, and has enlisted co-hort Oklahoma to exact revenge against the sadistic Dr. Isaac Yankem DDS! But it’s Russo making the rules, and the bout will be contested as a “Contrived Gimmick on a Pole” match! What sort of objects will Russo and his triplicate-spouting Okie friend have in store for the Demented Drill Sergeant? In the continued fall-out of Survivor Series, two sets of partners are set to collide on this national broadcast. The Gobbledy Gooker didn’t take kindly to the Red Rooster refusing to tag into their match, and plans to hatch his redemption on December 21! In addition, Super Eric aims to make wrongdoer Pacman Jones pay for his act of mutiny! In addition, The Ugandan Giant Kamala will see his first action since being scared off by a casket at the Survivor Series. Can he remain focused and collected, as he squares off with El Matador? All of this holiday hell-raising is capped off with the announcement of the first several entrants in the WrestleCrap Royal Rumble, slated to take place January 19 in Detroit, MI! There’s no action quite like WrestleCrap, and the proof of that will be on the inaugural Saturday Night’s Meme Event! 10 Responses to "On December 21, WrestleCrap Presents…..Saturday Night’s Meme Event!" Wow! 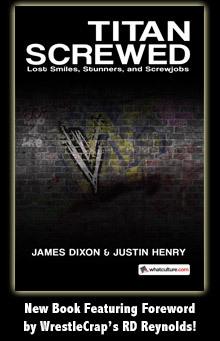 If it’s half as good as the WrestleCrap Survivor Series, it will be outstanding! Can’t wait, Justin! Why have a Merry Christmas when you can have a Wrestlecrap NO HOLDS BARRED Christmas! This series is fantastic. Can South Park Dairy sponsor the event? I really want to see Daniel Bryan on a milk carton. Still waiting on a Crap of Champions show… or Starrcrap! All I ask Justin, is that when the crappers for the Rumble are announced, please bring back the metal drum with the ping pong balls with the numbers written on them. Does this mean we can look forward to a Chamber of Crappers or a Spin the Crap Wheel Match at some point? All right, coming to Detroit, I will be in attendance! Think we can take a trip up to Pontiac afterwards, maybe hold a WrestleMania III vigil in the parking lot of the Silverdome, then head over to White Castle and celebrate with a case of sliders? It’s the crap made in heaven/crap made in hell double main event! Witness the tag team handicap match of the century as RD Reynolds and Blade Braxton takes on the Axis of PG Evil: The Miz, Michael Cole, and Hornswoggle. The special guest referee is the only person that can maintain justice in a match of this caliber. Since Sid Justice wasn’t available, we had to call upon the ever-impartial observer….Dave Meltzer? Tune in to Wrestlecrap.com for more details!